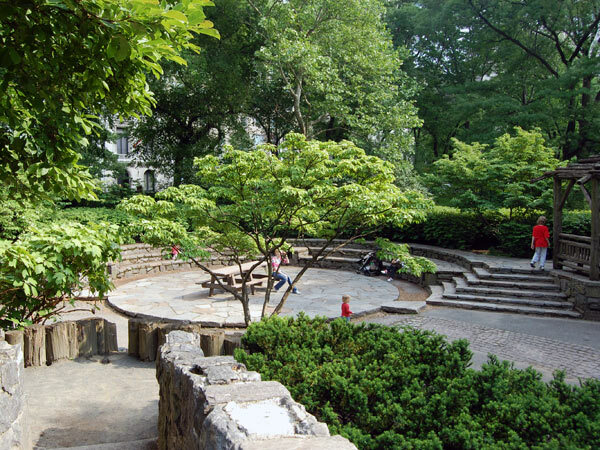 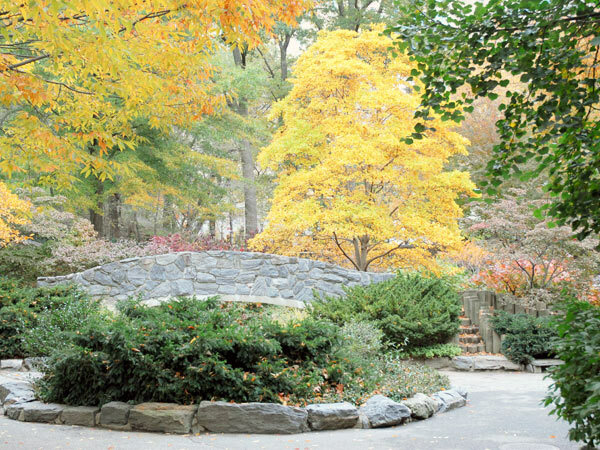 Constructed in the mid-1980s to replace a Robert Moses-era playground, Billy Johnson Playground was the first one reconstructed under the administration of the Central Park Conservancy. 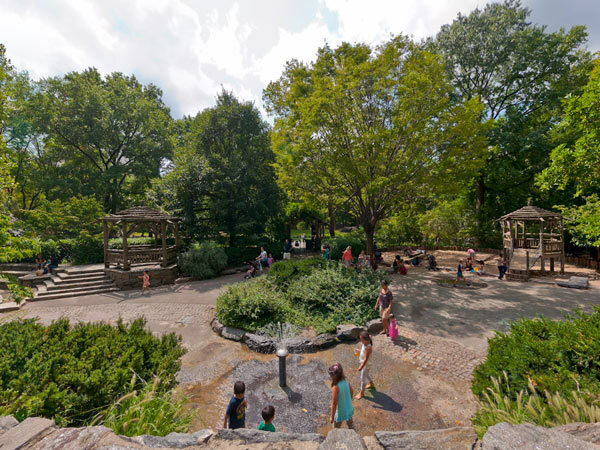 Designed by M. Paul Friedberg, who created the first adventure-style playground in New York City at the Jacob Riis Houses in 1966, it was the result of a design competition to create a “rustic playground” inspired by the park’s Picturesque heritage. 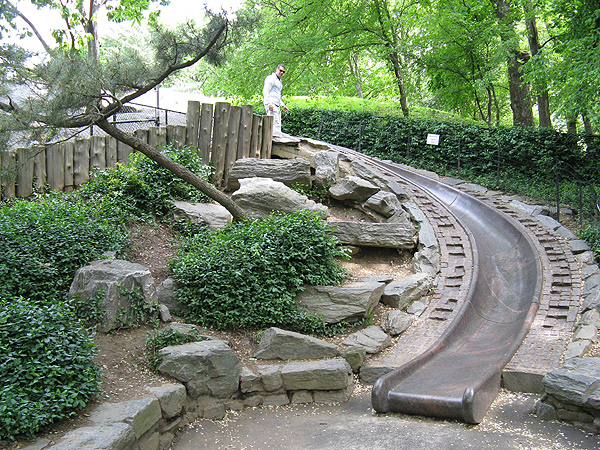 Friedberg used topography, natural materials, and the park's rustic design vocabulary to blend the playground into its context. 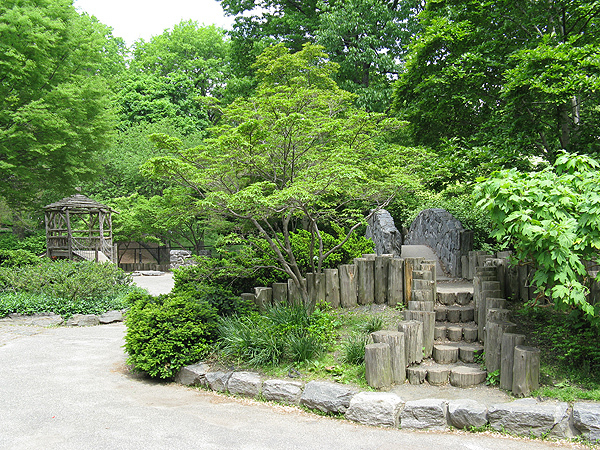 Water figured prominently in the design, which incorporated the idea of a stream with stepping stones. 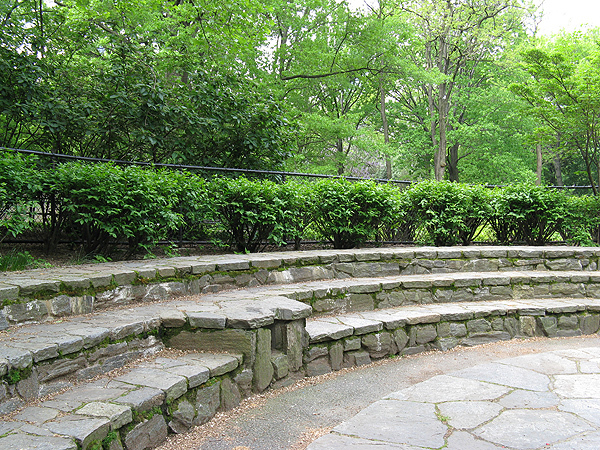 A stone bridge, reminiscent of Gapstow Bridge at the nearby Pond, was situated at the center of the playground. 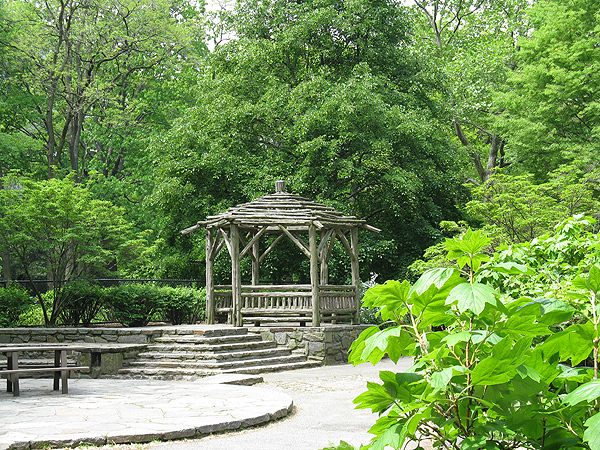 Rustic play structures evoke the summer house, which is visible through the trees on a nearby hill. 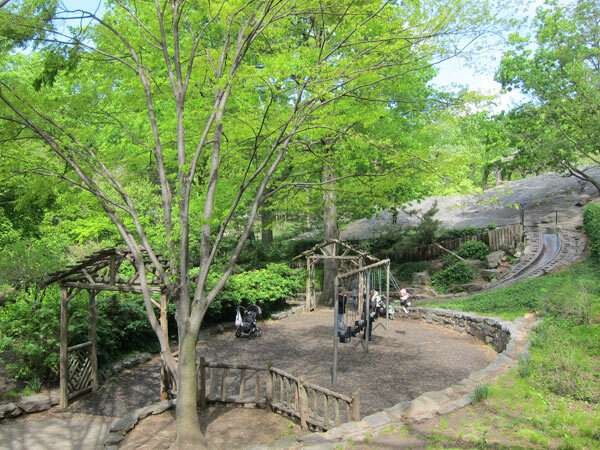 The playground’s most popular feature is the granite slide, which is nestled into a rocky hill that echoes the nearby rock outcroppings. 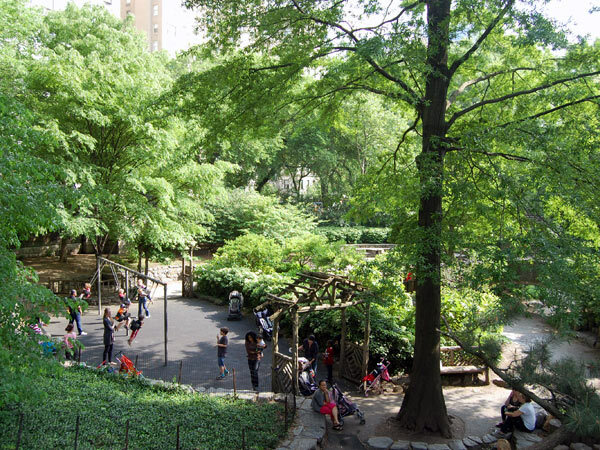 Since the playground was completed in 1985, bucket swings and a spray fountain have been added, plantings have been augmented and diversified, and some wood elements have been replaced or removed.